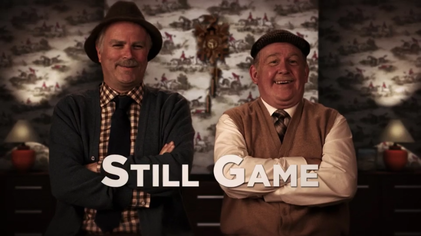 Hit TV Comedy, Still Game, has filmed their last series ever after 9 years of airing on our TV screens. The show which is filmed in Glasgow and aired on BBC One in the UK finished filming yesterday and only recently revealed that this would be the last ever series after making the nation laugh for a very long 9 years. The show, which is on Netflix and BBC, started in 2002 but has had breaks in-between so has only been airing on TV for 9 years. It started airing on BBC One Scotland but grabbed the attention of the UK on BBC iPlayer over the years, the show stopped in 2007 before coming back for a live show in Glasgow's SSE Hydro which saw the show sell out quickly forcing more dates to be added, this then prompted the creators and the BBC to bring the show back to TV in 2016, this time it would be aired around the UK for the first time on BBC One. The show was put onto Netflix and had gotten the attention of the world with quite a lot of fans now coming from Canada. since its return in 2016 we have seen 2 new series with the final one, which will be series 9, expected to hit TV screens next year. Before the show aired on TV in 2002 it had already been a sketch in another show called Chewing the Fat, as well as that it was also played as a stage show so has been going for a total of 21 years. Greg, who is one of the shows creators and plays one of the main characters (Victor McDade), said "Still Game is a story 21 years in the making. We've had an amazing run but one of our hopes when we brought the show back was that we would get the opportunity to finish Jack, Victor and the gang's journey" and Ford who is the other creator and plays one of the main characters (Jack Jarvis) said "I can't believe 21 years have passed in what, for us, has been an outstanding experience of collaboration, storytelling and performing. But above all being fortunate to entertain the people and make them smile". Series 9 is expected to air some point in 2019 with the actual date not yet being announced. Do you watch the show? Who is your FAVOURITE character? Let us know in the comments below! My favourite character has to be between Methadone Mic and Edith.